The following ICANN 52 - Singapore Playing Card Deck was created by ICANNWiki staff member Vivian Hua. 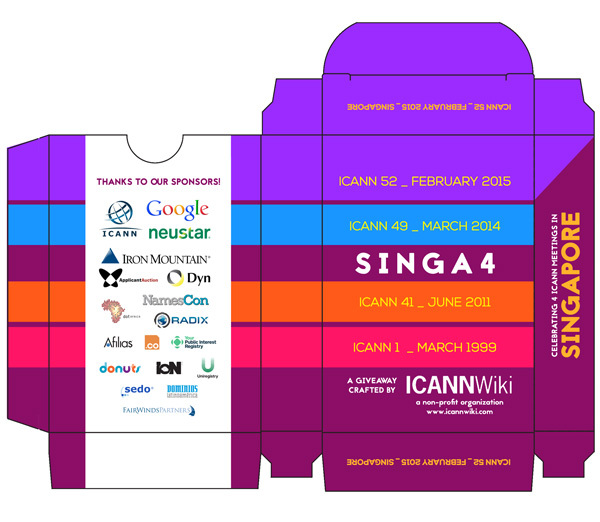 ICANNWiki creates a special deck of cards for each ICANN meeting, as part of our ICANNWiki Giveaways. 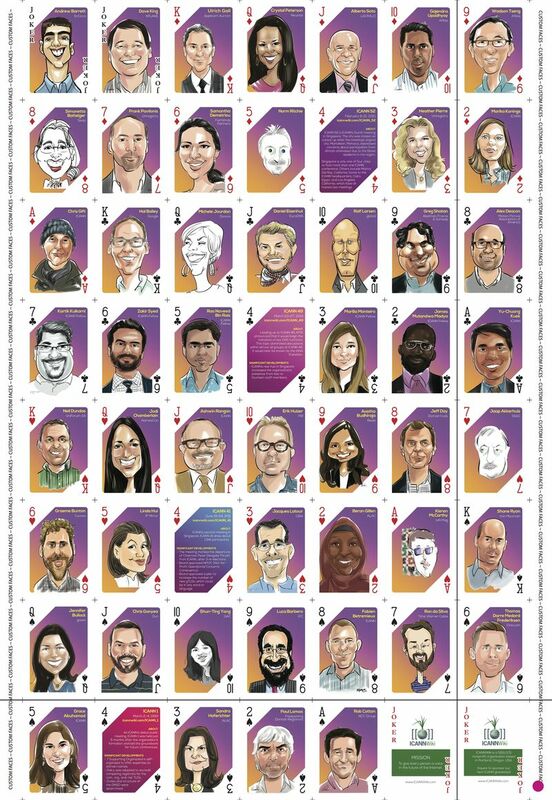 ICANN 52 - Singapore's Playing Card deck features many ICANN community members and Singapore Fact Cards. This page was last edited on 28 November 2015, at 02:59.